Michael Flynn, senior Trump campaign advisor and former National Security Advisor, has been charged in the Trump-Russia investigation. Special Counsel Robert Mueller says Flynn “willfully and knowingly” made “false, fictitious, and fraudulent statements” to the FBI about his conversations in December 2016 with Russia’s Ambassador to the US, Sergei Kislyak. Flynn is expected to plead guilty at 10:30 a.m. local time (1530 GMT) on Friday. to Kislyak to delay a vote on UN Security Council resolutions. 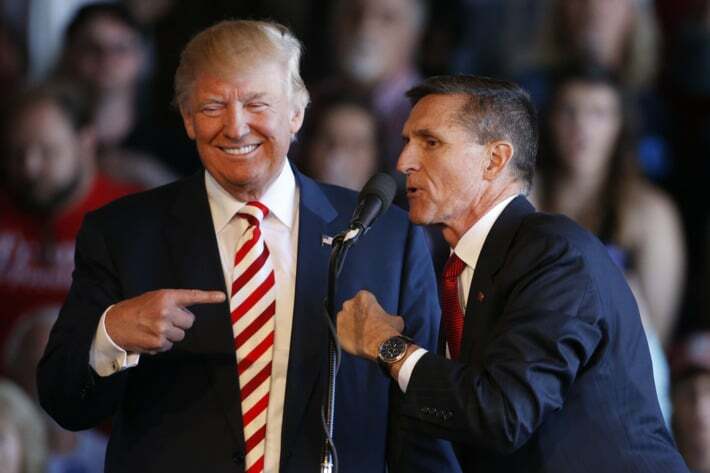 Flynn is the first Trump Administration official and the fourth connected to the campaign to be charged in the inquiry into links between Trump advisors and Russian officials, financial crimes, and potential obstruction of justice. Trump’s former campaign chairman Paul Manafort and his deputy Rick Gates were indicted on financial, tax, and lobbying charges. It is still unclear if Flynn is cooperating with Mueller as they pursue further targets, possibly including Trump’s son-in-law Jared Kushner, Attorney General Jeff Sessions, and even Trump himself. However, earlier this month Flynn’s attorneys told White House counterparts that they can no longer exchange information, a possible sign of their client’s provision of material and testimony to the special prosecutor. Next“Anyone’s Child”: Is There A Way Forward for Mexico’s Drug Policy?